Mary Ann Davenport | Launceston Then! There was playful charm about her; she was not exactly beautiful, but had a witchery of face and of manner that was unsurpassed by any of her fellow actresses, who may have possessed more regularity of feature. In the course of the season she played Lady Wronghead in the ‘Provoked Husband,’ the Nurse in ‘Romeo and Juliet,’ the Duenna, and many similar characters. 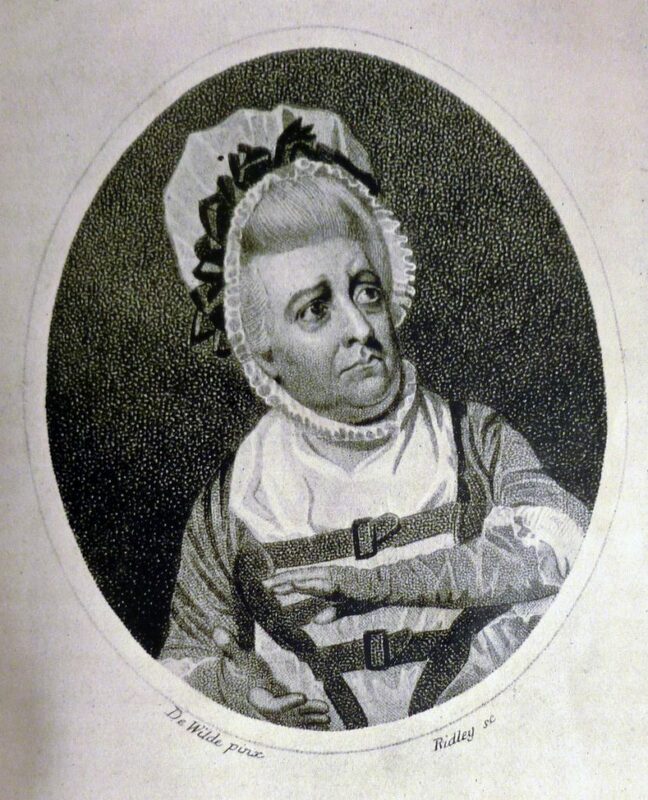 To these she added at the same theatre in 1795–6 Mrs. Malaprop, Mrs. Quickly in ‘King Henry IV, Part I.,’ and ‘Merry Wives of Windsor,’ and Mrs. Peachum in the ‘Beggar’s Opera.’ At the Haymarket in 1797, and in subsequent years at one or other of the theatres named, she played Miss Lucretia M’Tab in ‘The Poor Gentleman,’ Mrs. Quickly in ‘King Henry IV, Part II.,’ and ‘King Henry V,’ Mrs. Heidelberg in ‘The Clandestine Marriage,’ and very many similar parts. She was the original Deborah Dowlas in Colman’s ‘Heir-at-Law,’ Dame Ashfield in Morton’s ‘Speed the Plough,’ Mrs. Brulgruddery in Colman’s ‘John Bull,’ Monica in Dimond’s ‘Foundling of the Forest,’ and Dame Gertrude in ‘The Forest of Bondy, or the Dog of Montargis.’ In these and very many similar roles she won a high and well-deserved reputation. She bore a high reputation as an actress and a woman. In 1806 she appeared as Lady Denny in ‘Henry VIII‘ (play) with Sarah Siddons as Queen Katherine, John Philip Kemble as Cardinal Wolsey. 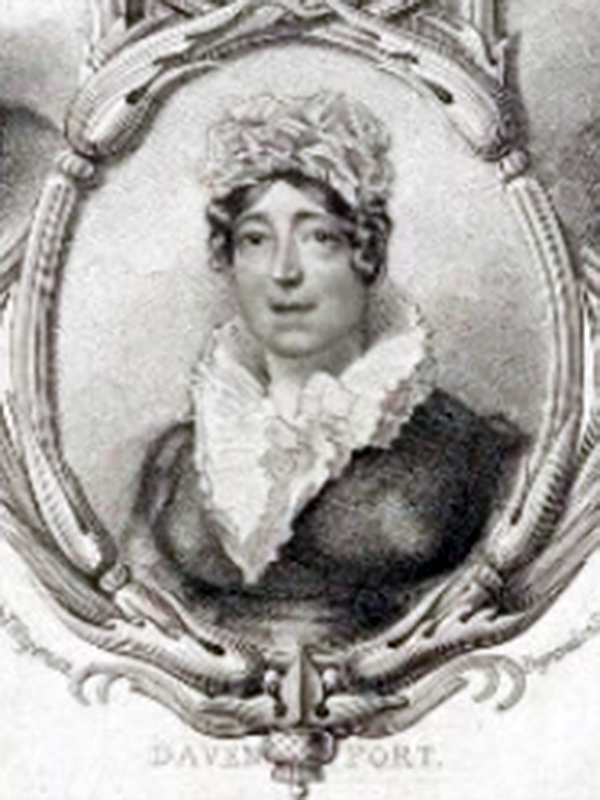 During the life of her husband she lived in great privacy; after his death, on March 13th, 1814, she drew, with a daughter, into practical seclusion. She had also a son who held an Indian appointment and whom died there. George Davenport was eclipsed by his wife, and is an object of some banter in theatrical records. He was, however, a good speaker and a useful member of the Covent Garden Theatre, which, on account of ill-health, he quit in 1812. 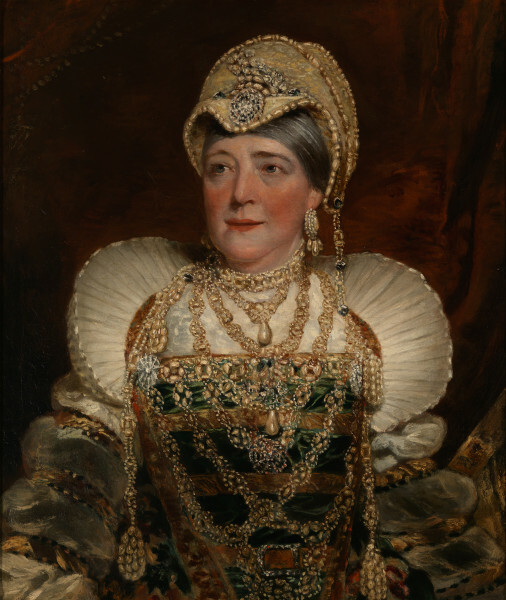 In 1817 she appeared again as Lady Denny in ‘Henry VIII‘ when the painting (below) by Benjamin Burnell was created for an exhibition at the Royal Academy of Arts. Her last performance was for her benefit, Covent Garden, on May 25th, 1830, when she played the Nurse in ‘Romeo and Juliet.’ She was run over by a dray on July 20th, 1841, and after a lingering illness died in St. Bartholomew’s Hospital on May 8th, 1843, aged 78, or, according to another account, 84 years. She was buried at St Paul’s, Covent Garden.